Telling the time worksheet. There are 6 different exercises to pracise telling the time. 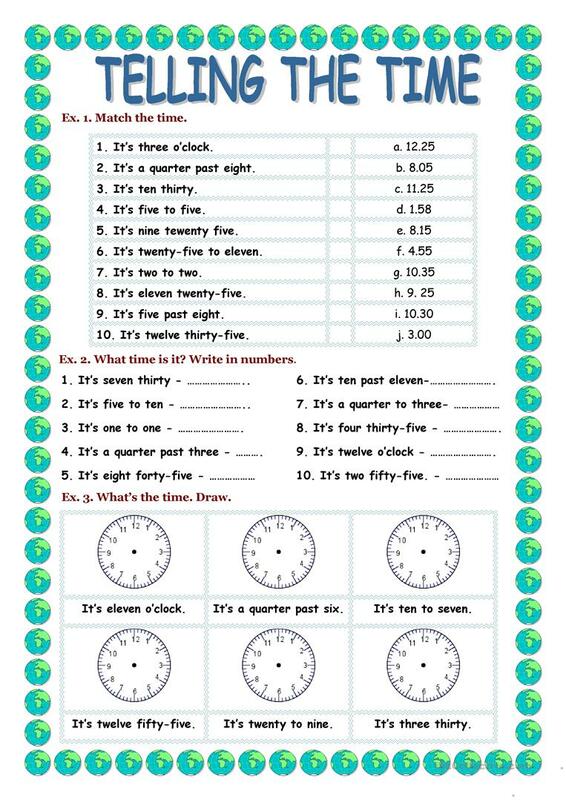 Students have to write the time under the clocks, match the time with the sentences, fill in the dialogue or guess what time it is. 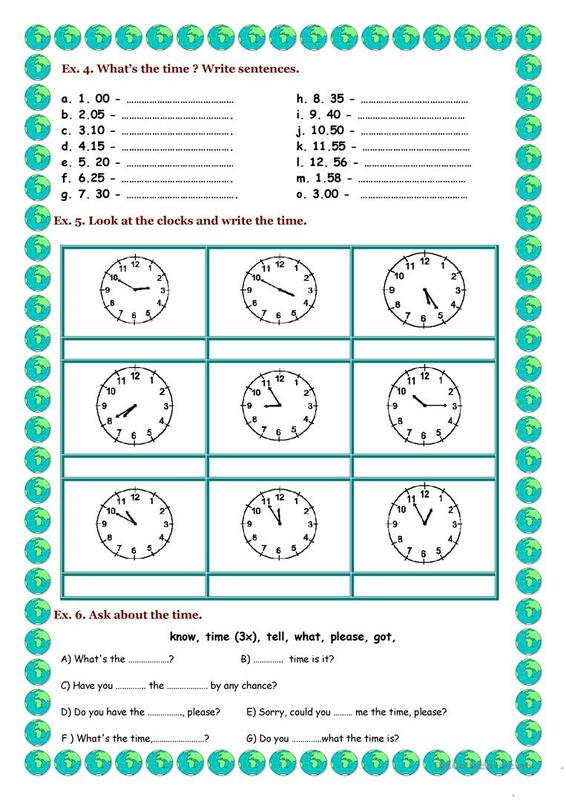 It is a very easy worksheet for student who want to have fun while practising telling the time. This can be a kind of revision worksheet as well as a test. This downloadable teaching material is intended for high school students and elementary school students at Beginner (pre-A1), Elementary (A1), Pre-intermediate (A2) and Intermediate (B1) level. It is excellent for developing your learners' Reading and Writing skills. It centers around the vocabulary topic of Numbers.